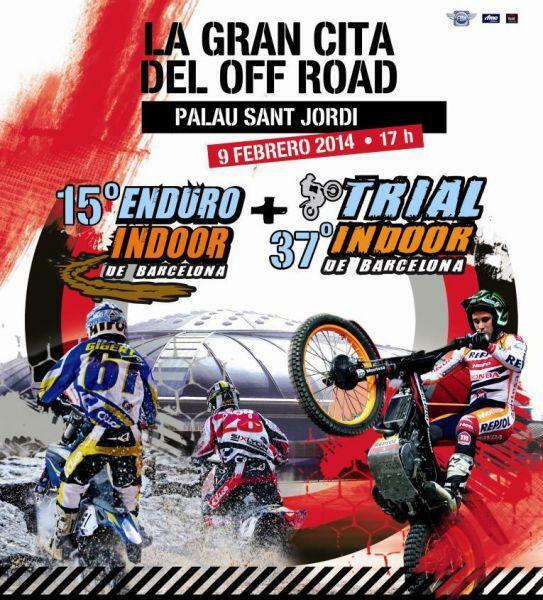 The best drivers of Trial and Enduro indoor world will come face to face in the Palau Sant Jordi in Barcelona on February 9. You will see at the Palau Sant Jordi all stars Trial + Enduro indoor: Toni Bou, Adam Raga and Albert Cabestany in trials competition, and Ivan Cervantes, Taddy Blazusiak, David Knight and Jonny Walker in endurance racing. What do you know about indoor Trial indoor? The Indoor Trial comes from the hand of RPM Racing , a company specializing in the organization and promotion of international sporting events , over thirty years ago . From the time They start deTrial Indoor Championships held in spaces normally enclosed pavilions with artificial obstacles . This way , fans can follow the evolution of the pilots without fearing the weather . In 1978 the first edition of the Barcelona Indoor Trial , Known as one at that time Solo Moto Trial Indoor Barcelona born . It was from That first test in the city , thanks to the complete success of this initiative , an international circuit tests currently Comprise the Emerged World Championship Trial . What do you know about Enduro indoor? The Indoor Enduro Racing RPM Within born in 2000 . Participants in any tournament enduro made ​​tours and routes at preset time intervals . For the Indoor Enduro, a circuit is in an enclosed space Organized . The head of any Indoor Enduro, is Characterized by its hardness , has Usually water traps , logs and stones difficult to overcome.